Former Oregon Gov. Says Key To Health Care Is Costs John Kitzhaber says Congress is too focused on access to health care in its proposed overhaul — and not focused enough on costs. He's running for governor again and wants to make Oregon a model for health care by focusing on prevention and rationing. Former Oregon Gov. 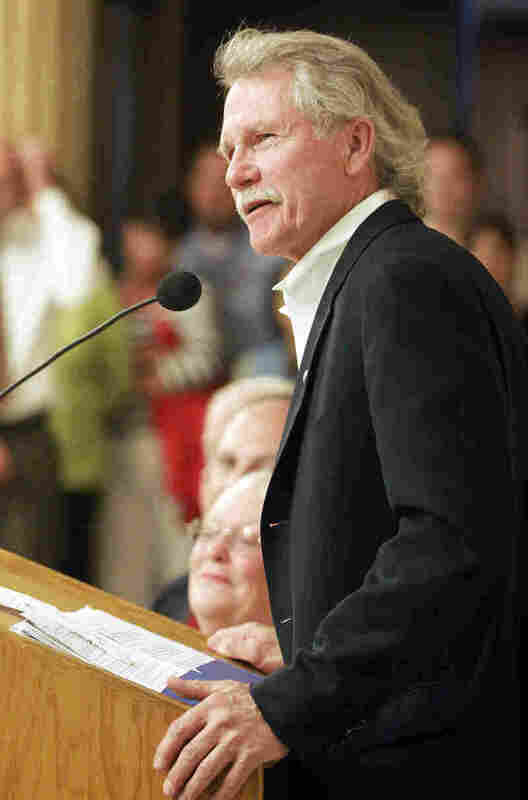 John Kitzhaber, pictured here in May, is considered the father of the Oregon Health Plan. The plan expanded health care to the working poor by spreading Medicaid dollars over a larger group of people and rationing services. He's running for governor again — and wants to make Oregon a model for health care. As lawmakers on Capitol Hill debate health care overhaul legislation, a former governor from Oregon gives the plan little chance of succeeding. 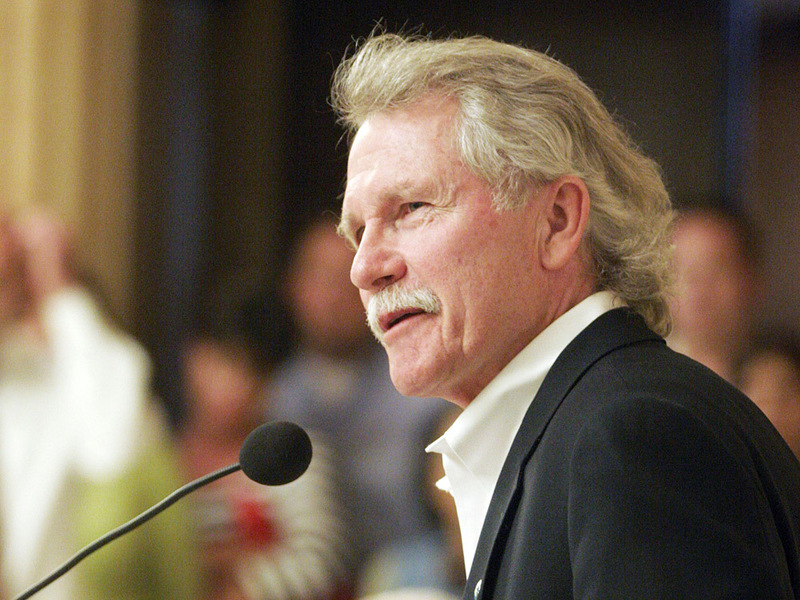 John Kitzhaber began his work life as an emergency room doctor in 1974. He was elected governor of Oregon 20 years later — and health care has been a large part of his political life. He is considered the father of the Oregon Health Plan, which expanded health care to the working poor by spreading Medicaid dollars over a larger group of people and rationing services. Now Kitzhaber, a Democrat, is running for governor once more — and health care is on his agenda again. He wants to make Oregon a health care model for the rest of the country. Kitzhaber says the White House and Capitol Hill are too focused on access to health care. As a huge generation of baby boomers starts signing up for Medicare, he says policymakers should spend more time on costs. "I don't believe that what's going to come out of Congress is going to have any impact on the medical cost inflation, which is what's really crushing individuals and businesses, and really putting the country at economic risk," he says. Much of Kitzhaber's plan centers on prevention: keeping kids from getting fat and reducing expensive emergency room visits. But he still embraces some of the controversial elements of his Oregon Health Plan, including a list that rations health care services in order of cost-effectiveness. Some things are covered, like maternity care and stop-smoking programs. But expensive procedures with little chance of success are not covered. I do think Oregon has a history of innovation in medical care. And we've had discussions on how you prioritize — and limits and rationing — that most states haven't had. Roseanne Marlow, a critical care nurse in Portland, says she likes Kitzhaber's take. "We've got to tear the whole system down, and that's what I heard him say," Marlow said after listening to a speech by Kitzhaber at a nursing convention. But she doubts the former governor will succeed. "The system is so huge and so complex, and there are so many diversified political views that I don't think it will happen," she says. It's clear that Kitzhaber has the health care industry's attention, though. "[I] don't know enough to be nervous yet, and I don't think our members know enough to be nervous," says Andy Davidson, president and CEO of the Oregon Association of Hospitals and Health Systems. Davidson says Kitzhaber's plan appears to be a work in progress. But, he says, Kitzhaber is contributing something valuable already. "What seems to be missing today in the debate that's taking place, particularly in Washington, D.C., is a concept and a conversation with the public about what they're willing to do without," Davidson says. Kitzhaber's open discussion of rationing brings up questions about what individuals are willing to sacrifice to make sure the health care system as a whole is viable. Last year, this point propelled cancer patient Barbara Wagner into the headlines. She received a letter from the Oregon Health Plan denying her cancer treatment because it had less than a 5 percent chance of success. The same letter offered payment for the state's physician-assisted suicide program. The drugmaker eventually gave Wagner the medication for free, but she died a few months later. Despite difficult situations like Wagner's, Kitzhaber says Oregon is a good place to have this public conversation. "I do think Oregon has a history of innovation in medical care," he says. "And we've had discussions on how you prioritize — and limits and rationing — that most states haven't had." Kitzhaber predicts that within a few years, most people will realize the fix being crafted in Washington right now won't work. And policymakers will then look to states like Oregon as models to craft a national policy that will work.